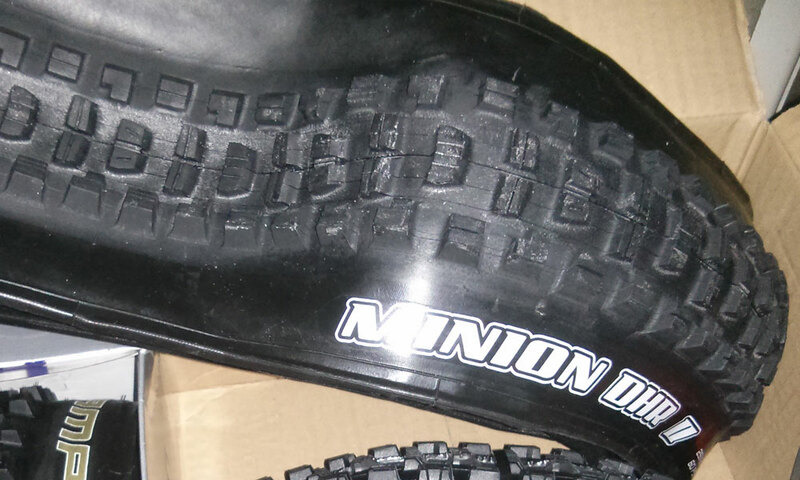 The replacement for the original, not-very-much-loved Minion DHR has been around for a couple of years now – and it’s safe to say that it’s already picked up many more fans than its predecessor. 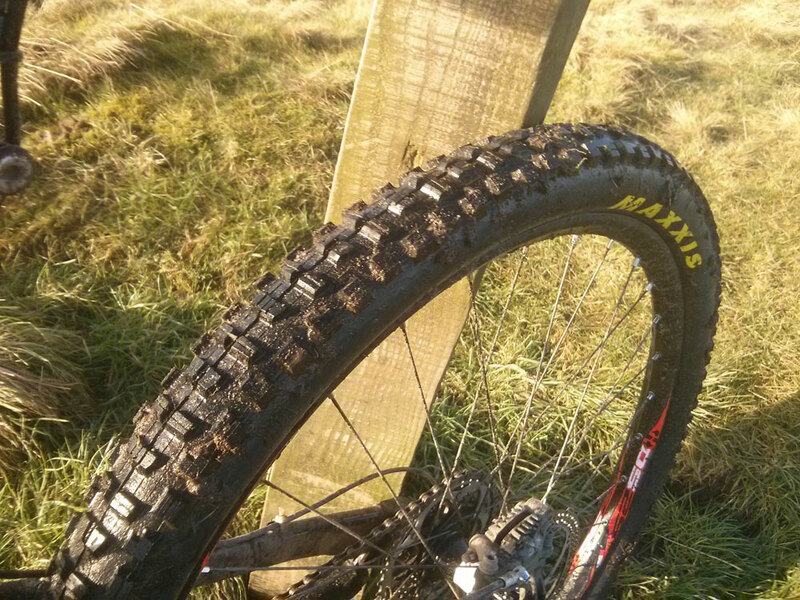 I only used the old DHR in 26in dual ply format, where I found it a perfectly capable tyre with good grip for riding dry and loose trails – similar to a High Roller – but I didn’t ride it enough before my DH bike got nicked to draw a full conclusion. Anyway, back to the new version – and there’s certainly a family resemblance to its predecessor in the layout of the blocks – with wider ones for traction, narrower ones for easy rolling and edge knobs for cornering bite. However it seems the original DHR may have been having it off with the High Roller 2 on the sly, because there’s also a strong likeness between the DHR2 and the excellent HR2 – most notably in the way the knobs are now arranged more squarely on the carcass and have a pronounced ramped edge. The main difference is that the DHR2’s blocks are slightly lower and possibly a bit wider. I’ve put many miles in on the DHR2 in all conditions, from winter slop in the north of England to dusty singletrack in the home counties and from the ancient rock of Torridon to some super-muddy rock-strewn PMBA Enduro races. And it’s coped very well in almost every situation. Climbing traction is excellent, rolling resistence is on the low side for an all-round tyre like this and it has great edge grip for tricky off-camber sections. It’s great on rocks and roots and it handles a bit of mud very well, clearing quickly and using those paddles to find grip. Gloopy mud is the only real achilles heel I’ve found, but only really at the point where a dedicated mud tyre is required. The reinforced Exo carcass does a great job of preventing flats, but of course it’s still a single ply tyre and if you are really letting loose over rocks then you’ll put a hole in it – and I have once or twice. The 2.35in width seems to me to be the sweet spot for 29in wheels, being wide enough to ride confidently on technical terrain but not to the point of feeling draggy. I’ve no idea how accurate that width is, but it certainly seems a shade narrower than Schwalbe’s 2.35in tyres. I’ve been riding it in combination with a HR2 3C and as a pair they work great. I would absolutely buy this tyre again – but I don’t have to yet as it’s still got loads of tread despite more than a year’s use.